- Vertical effective length 9.25”. - Copper is used in the case of the standard Omega. Effective mass - Variable ( dynamic ) due to damping by differential masses and therefore ultimately dependant on cartridge compliance, typically though. 7g / 10g. 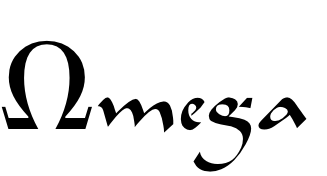 Omega should be regarded as a low to medium mass arm best suited to medium to stiff cantilevered cartridges. Counterweights - The main counterweight is fixed and as close to the bearings as possible to ensure low effective mass. VTA adjustment - Via screw and collar-clamp built within the base plate. Adjustment range 15mm/20mm max. Tapered tube for maximal rigidity and minimal height above record. Sectional area decreases towards the front.